If you are willing to expand your business to the German market, you need to rely on a reputed call center. Innovation and technology of the leading call center service platforms can definitely empower your business. Germany is one of the most advanced nations in Europe and has great potential for business. Companies inclined towards exploring the potential market in this country often outsource their call center services. You may come to us for steadfast contact center solutions for your German clients. At PGBS, we provide scalable call center services in German language for various companies. Whether you are willing to market your product in Germany, or planning to set up a help desk, we can cater to your requirements. A call centre solution, that is culturally adopted to the masses, will leverage your business. Skilled professionals in our German processes provide an excellent support to the clients, enabling them to establish a closer bond with their customers. They grow an affinity towards companies that provide the customer support in their own native language. We understand, that an emotional appeal plays a pivotal role in moulding the relationship between the company and its customers. PGBS is one of the accomplished customer services outsourcing platform in the circuit, with an impressive track record to speak for our accomplishments. You may have a consultation with us regarding the number of channels you need, volume of calls to be tackled or other aspects of the deal. We will take care of the rest with great level of perfection. Partnering with a reputed call center outsourcing company will help you to grow a polished brand image which every business yearns for. As a marketer, you would understand, that customers prefer personalized services. Although the official language remains an option, choosing German as the primary language of communication will create a favorable outlook of the customers for your brand. Over the years, we have collaborated with several international brands, establishing their relationship with foreign clients. At PGBS, you will find skilled professionals with proven skills over the German language as well as culture. Our omni-channel communication strategies will help you to penetrate into the customer base in Germany. Besides, we keep on updating the technology, which enables us to provide the highest quality of multilingual support to the customers. Often, they request for services on their own terms, and you need the necessary tools to meet their expectations. With adequate technical support around, it is possible to answer the calls in the way they want. Therefore, you need a professional platform to rely upon for German call answering services. Come to us for a dedicated support and let your business grow in the foreign land. Well, experience matters to a large extent, when you outsource your call center services to a third-party vendor. Our call center agents are fortified with extensive experience in the domain. Specialized training and regular workshops keep them updated with the latest developments in the industry. At PGBS, we have a number of multilingual teams and hence we are capable enough to provide call center services in several languages. Over the years, we have supported companies from various domains, including, pharmaceutical, finance, gaming, technology, real estate, healthcare, eCommerce and more. You may approach us with your requirements of customized solutions, no matter how intricate or specific they are. We have complete hassle-free communication channels open 24/7 for you to reach us anytime. The chances of sending the messages to the wrong person are eliminated, as our professionals use on-call rosters. We never put the calls on hold, while answering other calls. 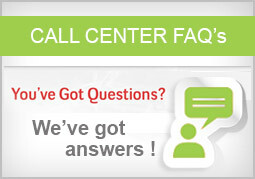 This adds to the customer satisfaction when you roll out our call center services. At PGBS, we provide emergency response services through the telephone. Our platform is integrated with automated backups, that further leverage the quality of services. You may also seek our live operator answering services, which have the fastest time for pick-up. Get across to us to streamline your business with absolute reliable support from the experts.